On September, 1st, 2011, Galina Nikolaevna Gumovskaya, Deputy Rector for International Projects, PhD (Philology), Prof., a leading professor of the IGUMO academic department chair «Romano-Germanic Philology» celebrates her jubilee! 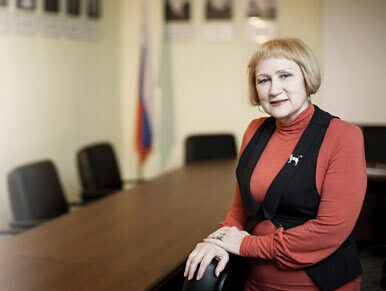 Galina Nikolaevna has been working in our Institute for 20 years, ever since the moment it was founded. We cannot describe how much we appreciate Galina Nikolaevna and her outstanding contribution to the IGUMO Department of Foreign Languages and the development of international collaboration. She shares her knowledge and rich professional experience with the colleagues, students, including postgraduate and foreign ones.